• 1 Cessna 180 fixed-wing (for crew logistics). Both the Hiller and Lama are specialized helicopters which are ideally suited for aerial application type work and have proven themselves over many years in forestry and agricultural work. 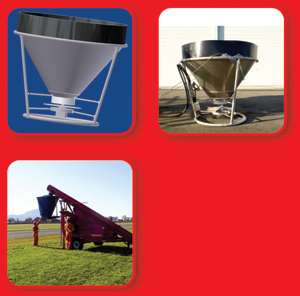 We design and manufacture all of our specialty equipment in-house – both airborne and ground-based. Since Aerial Application is our only business, we can focus our efforts on developing the most advanced and efficient equipment for our industry. Drawing on our company's years of field experience, while utilizing the latest 3D solid modeling CAD software, our Engineering Department can design and prototype innovative ideas in very short time frames. Frankly, since we are such a focused business we need to be at the forefront of our industry's development; researching and experimenting with new ideas and technologies. 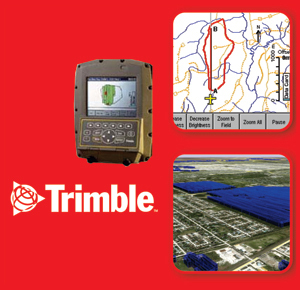 It was this drive that led to our partnership with Trimble Navigation, working closely with their engineers to help develop the TrimFlight II and TrimFlight III GPS Guidance Systems. 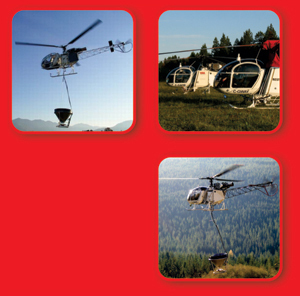 Every one of our helicopters is equipped with the state-of-the-art TrimFlight III GPS Guidance System. This offers our pilots real-time DGPS Parallel Swath Guidance, Application Recording and a Moving Map Display with Background Image Layering.